I would like to introduce myself if we haven't yet met. My name is Constance Kremer and I am the new Showroom Manager here at the Chatham Design Center. I am a long time resident of Cape Cod, via New York City. I came to the Chatham Design Center after meeting and working with Melinda Headrick as a design vendor for her interior design firm, our sister company, Chatham Interiors, Inc. My background started in print with shelter magazines, including Martha Stewart Living and House & Garden magazines, and I then worked for over a decade in the fashion industry. Art and Design are my passion, which is why I went back to school after moving back to Cape Cod for interior design. I am looking forward to helping my customers who love to design themselves. I pride myself on maintaining a professional and accessible environment that has a laser focus on the details, so you can relax knowing you will be taken care of as a member. 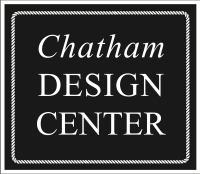 The most exciting news that I would like to share today, is that the Chatham Design Center is relocating to the heart of downtown Chatham, at 400 Main Street, next door to JoMamas. We will close the 1579 Main Street location on April 5th and hope to complete the move and reopen our new door by April 22, 2019. Our contact details will remain the same as will the workings of our website and client portal. Our online ordering and price quote process will stay open and active throughout. We also have updated our website! Please visit www.chathamdesigncenter.com We hope that by having the ability to access our curated and vetted vendors, you will see us as an invaluable asset for finding quality furniture and home accessories you know will last, at a discount! You can also relax, knowing that we will take care of the rest. We professionally procure, track, receive and inspect all items for you, for free. Time is the one commodity we all need more of. We give you that. Dropship is available off Cape, per vendor and local white glove delivery can be arranged. If you need help or ideas, hire a personal shopper to weed through the options. Members of the trade, we are here to help make your job easier. Please rely on us to take care of handling and receiving the important design pieces you order. Whether you visit us online or come into the Design Center, our team is here to help point you in the right direction and then allow you to work independently on your selections. Choose from an endless array of fabrics, wallpapers, furniture, lighting, accessories, carpets, paint samples, and hardware - all at your fingertips. We are happy to have samples sent to you from wallpaper, fabric, trims, and furniture finishes. You will promptly receive pricing and availability information for your selections through an easy to use online portal where you can Approve or Reject the individual items, and then sit back while we do the rest. Professional procurement in handling the ordering, tracking, receiving, inspection of your goods (coordination of delivery services if needed, at applicable fees). Significant discounts off of retail pricing up to 20% for homeowners plus free shipping. Discounts offered to the trade, please inquire within. Free shipping to the Chatham Design Center with complimentary storage for 5 days. The option to drop ship to your home outside of Chatham is an option if the vendor allows. Personal Design Shopper is available. Call ahead to schedule an hour consultation at $100/hr. Free Summer Design Lecture Series and a networking cocktail party for members with educational guest speakers from all areas of the industry. We are open Monday, Tuesday, Thursday and Friday 9 am- 5 pm, Wednesdays 9am-2pm. We invite you to follow us on Instagram @chathamdesigncenter and Facebook. Sign up for our monthly newsletter at the bottom of our website. We will be traveling to Highpoint in April, and look forward to reporting back, and sharing our finds. New vendors will be added to our resource library and online vendor list. In closing, I want you to feel confident, not intimidated. I am here to help you with your design dreams and needs, and look forward to working with you! © 2019, Chatham Design Center. All Rights Reserved.